We are extremely proud of the first of our latest crop of pure Highland Beef. 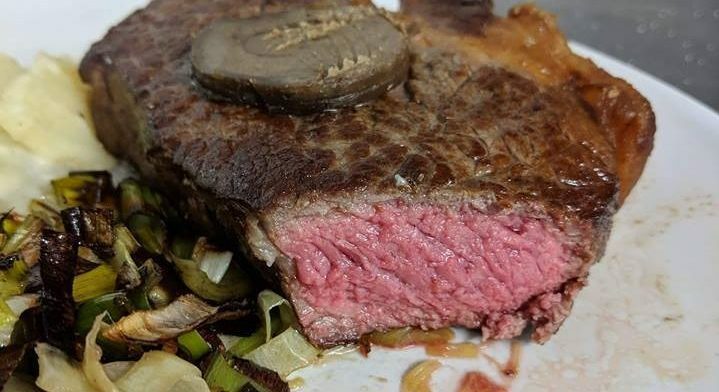 This grass fed Highland beef has been dry aged for 3 weeks and looks amazing. 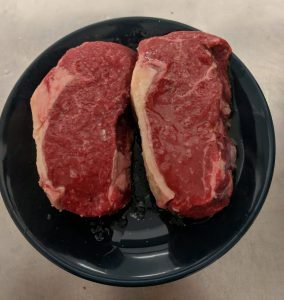 One of our favourite customers, 112 on the Brae in Nairn, came in for a couple of sirloin steaks; “purely for research purposes” of course and claimed that they were phenomenal. High praise indeed coming from one of the best eateries in Nairn and surrounding area. This amazing Highland Beef is available online or in or Forres shop. However it is selling fast and is likely to be the last of the pure Highland Beef available for a while. 112 are relatively new in Nairn and Chef Gordon and partner Kirstin have created a really unique (and tasty) place to eat. The quality of the cooking is more than matched by the range of wines and spirits that are also on offer. We recently had them up to our farm, Edinvale so that they could see what we are up to here and it was then that they spotted the Highland Cattle that were nearly ready at the time. This Farming Wife: From West to East! Lambing Day 12 - Where is Spring?